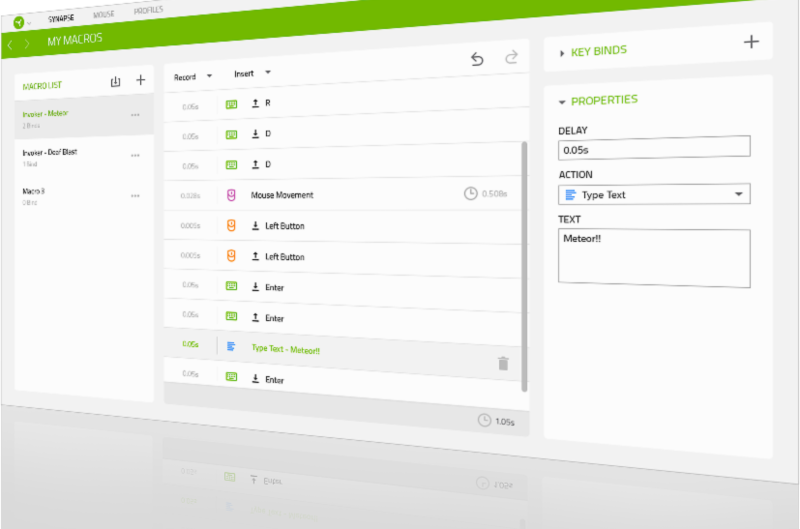 Rebind buttons, assign macros, and automatically save all your profile configurations to the cloud. 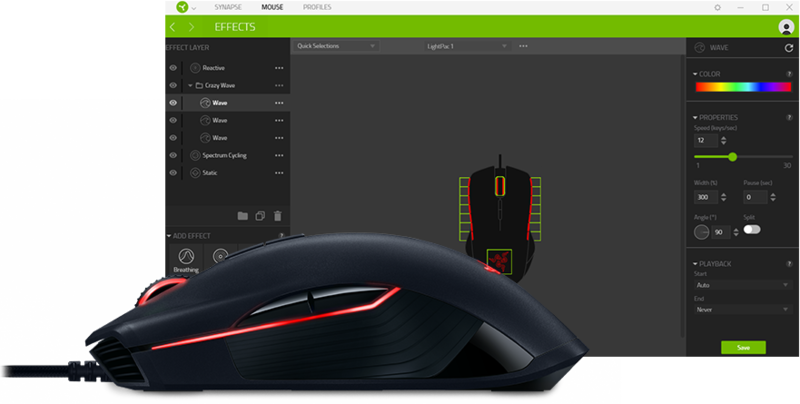 And if you’re going to use a computer without internet or Razer Synapse 3 installed, save up to 4 profiles to have on hand via the devices’ on-board storage. 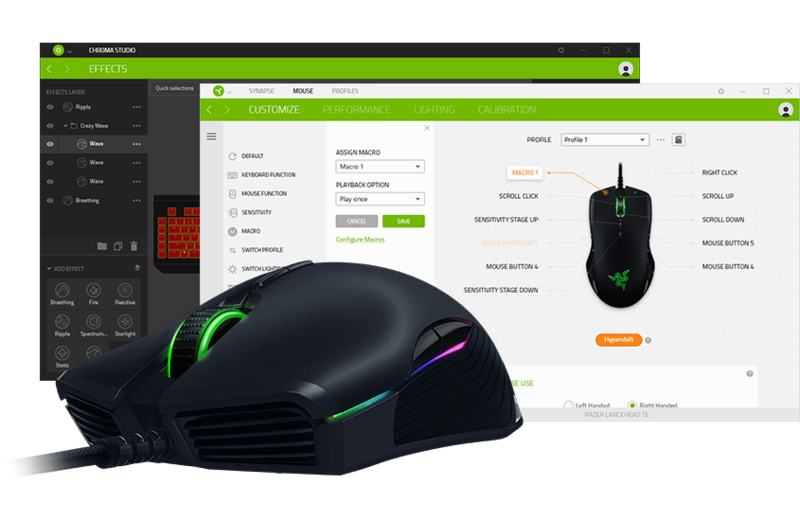 Redesigned from the ground up with a refreshing interface and modular installation capabilities, Razer Synapse 3 features a revamped dashboard with easy access to your device configurator, macro configurator, warranty registration and more. Bring powerful macros to your favorite games with Razer Synapse 3. 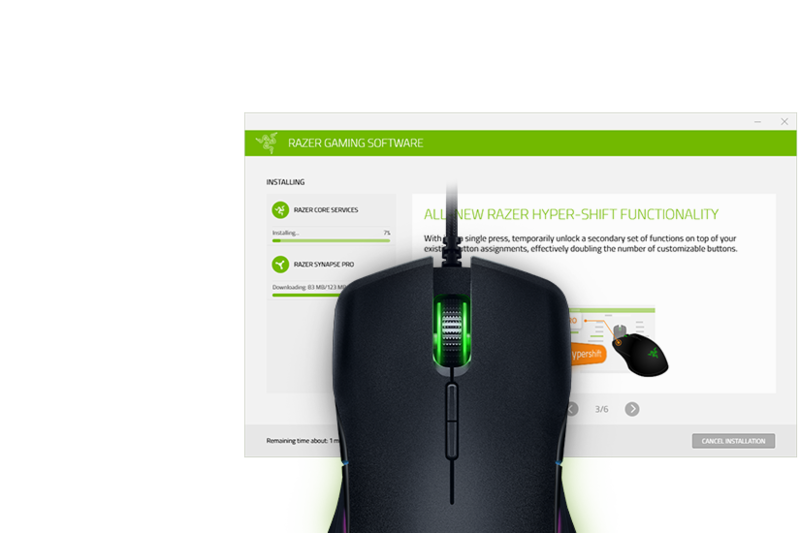 Easily create a string of complex button presses, and then precisely execute game-winning combinations with a single click. Simply press a single button to temporarily unlock a secondary set of functions on top of your existing button assignments, effectively doubling the number of customizable buttons on your device. 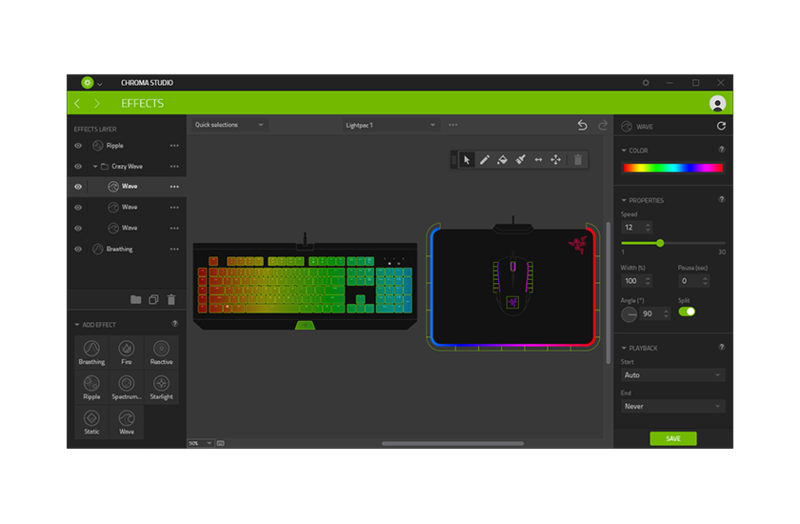 Make your desk a canvas with the all-new advanced lighting config tool that allows you to create various lighting effects and synchronize across multiple devices, while following the exact placement of your devices on your desktop.